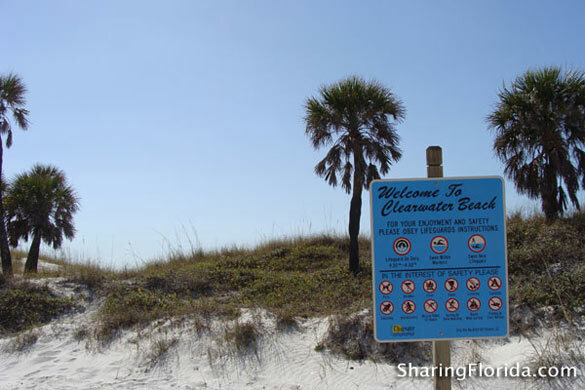 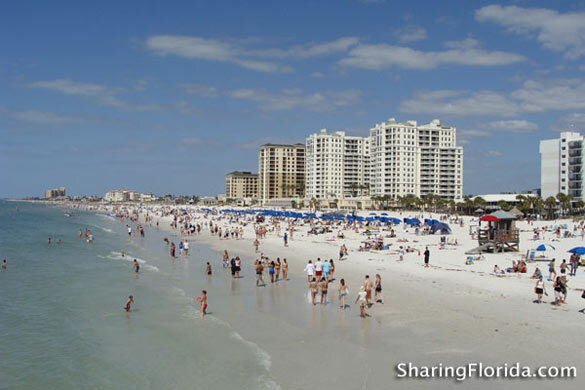 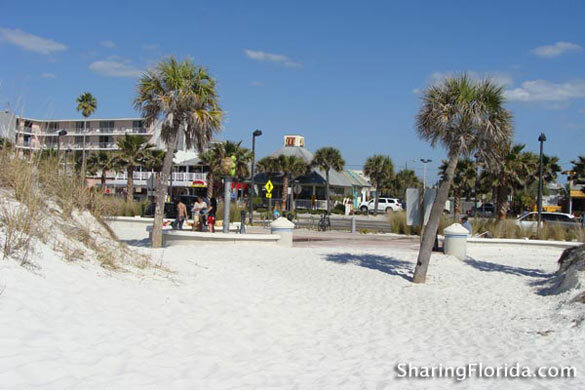 Pictures of Clearwater Beach in Florida. 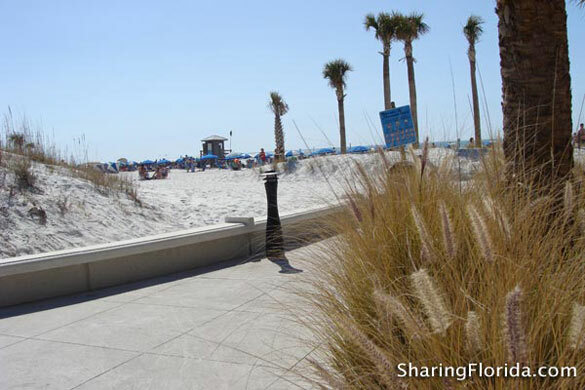 Photos of the walkway, the palm trees, and the soft white sand. 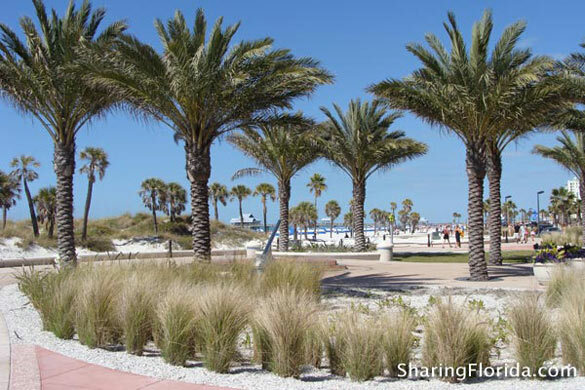 View photos taken at Clearwater Beach in March.